Welcome to Better Help! You've taken a huge step, and I'm sure you're wondering how this works and whether it's the right fit for you. I know I felt the same way when I first came to Better Help too. 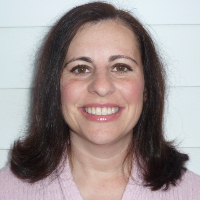 My name is Jeannette Abelson, and I'm a Licensed Clinical Social Worker in the state of Virginia. I earned my Master of Social Work degree, specializing in Interpersonal Practice, from the University of Michigan in 1998. I've worked in many different settings with individuals and families who have a variety of personal issues such as depression/anxiety, stress, family problems, trauma/abuse, addictions of all kinds, relationships/parenting and more. Over the past 20 years as a clinician, my experience has taught me that the most important aspect of counseling by far is the connection and comfort you feel with the person you choose to share your personal struggles. I believe we can all grow through challenging experiences by increasing our self-awareness. Sometimes another person, one who isn't in our immediate circle, can offer a perspective or additional support, that give us movement on a difficult situation when we feel stuck. It would be my privilege to be that person for you. We all want to be able to share our personal truths and be accepted and understood. I believe it's very important to be open-minded and non-judgmental when someone shares their personal story or experiences with me. Our relationship with our self and others has worth and is useful to explore in counseling. You are welcome to message me anytime through Better Help. The frequency with which you can have access to a counselor to work through day to day emotions and problem solving is extremely beneficial for most and a nice change from traditional outpatient counseling. I usually check messages twice each day, seven days per week. I offer messaging, live chat and phone sessions with limited availability in the evenings and weekends. Please note that what you see in my calendar may not reflect my only availability so you always want to check that out with me through messaging first. Jeannette understands me and is very compassionate. She is an attentive listener and recommends different perspectives around my thoughts patterns. She personally understands what I am going through and brings me a lot of comfort and reassurance. I am grateful to have her in my life. I am very pleased that I was matched with Jeannette. She communicated her thoughts very clearly and was able to help me sort through and make sense of mine. She responded very promptly as well. I hope to request her if and when I need further counseling. Jeanette is great! She is very kind and really seems to hone in on what’s the real problem. She gets straight to the point. Such a great professional! I have only been working with Ms. Abelson for a short period of time; however, she has played a significant role in the quality of my life during a very difficult time. She provides me with a safe place to voice my thoughts and feelings and provides amazing perspective and feedback. I highly value her as a counselor and I am proud to say that she is a member of my support team. Jeanette is a really wonderful person and therapist. She provides profound insight into all kinds of situations and her guidance always helps me handle life, events, and people better. She seems incredibly intuitive and is really kind, gentle, and supportive. I always felt calmer just talking to her because I didn’t feel she would judge me and make me feel terrible for feeling how I do as I felt everyone else around me made me feel that way already. Her responses are truly insightful and reassuring. It is a really nice feeling when someone understands you without having to explain every detail. I’m really grateful to have had her as a therapist and I know I would have been in a worse place had I not had her guidance. I suppose it was my luck to have had been assigned her but I would definitely recommend to everyone on BetterHelp if you’re not feeling progress in your mental health and still struggle daily, please take counseling with Jeanette. You will feel the difference and improvements in your life and be reminded that things will be okay and tomorrow can always be better. A year full of learning about living in the present is upon me. Thank you Jeanette for being my supporter, encouraged, believer, teacher and the most patient advocate. Jeanette has helped guide me through one of my roughest paths in life. She helped provide a lot of clarity in a big ball of events and emotions; I am forever grateful. I feel like I'm getting on a better and better life path everyday - Jeanette has been instrumental in getting me on this path through kind, insightful words and validations. Jeannette has been the person I was needing for a long time. I had a long laundry list to unload, and she was able to target the more crucial needs to help me work on first. I have been able to send lengthy messages in moments of distress, and receive validation, and action plans on how to move forward and "deal". I know therapy is a process and I have much to work on, but I trust that Jeannette will help me get there at the pace that is right for me. Thank you Jeannette! Jeannette continues to be a tremendous help and support to me and my daughter, we do both individual counseling with her. I recommended her to help my daughter and she has been a Godsend at a difficult time for her. I would recommend Jeannette strongly as a counselor. Jeannette Abelson is an exceptional counselor. She's highly responsive, fully engages with my concerns, and very pleasant to talk to. She was my second match and I was so glad that I made this switch! Jeanette offers great insights and has really helped me in taking actionable steps towards feeling better. My counselor is very polite and understanding. Makes counseling very comfortable for me. I like how interactive Jeannette is. She challenges my perspective and I appreciate her honesty. Jeanette is wonderful. She listens, gives input, and serves as a nice dose of reality when discussing my issues. Jeannette is always open-minded and provides a lot of different ideas and solutions. She has recommended many resources that have been valuable to me, and she is happy to check in when I don't message for a while. It's obvious she cares a lot about her clients! Jeannette is very understanding, responds promptly, and is wonderful to work with. I have been feeling a lot better since beginning to work with her. I came to Jeannette with a myriad of issues and just plopped them all out for her to see. She immediately started me on a treatment plan of worksheets and evaluations and has been a great sounding board when I am feeling anxious or overwhelmed by something. She is responsive and helpful in helping me get my mental health back on track. I avoided counseling for so long because I have had poor experiences in the past and figured it would just turn out the same - but I was totally wrong. Working with Jeannette has been so great, I even got my fiance to sign up for BetterHelp! Jeannette was very helpful in getting my wife and I to communicate better. She was easy to reach, had great tools and advice. Definitely recommend working with her! She is great- I feel a lot better since I've been speaking with her I'm grateful for her and this experience! Jeannette is a great counselor and much better than my previous counselor. She was attentive, kind and provided valuable feedback. Will definitely contact her again if I have another issue. She is respectful, honest and also compassionate. Jeannette is a nonjudgmental counselor who is skilled in the art of listening. She listens to everything, even the weird stuff. Jeanette is amazing. She helped me out of the darkest period of my life. She is unbelievable. She is a fantastic counselor. She is best therapist that I have ever had in my life! Jeannette was very helpful! She gave great advice and helped me calm down when needed. Jeannette is an extremely competent therapist. I have a lot of issues in my life - family, addiction, depression, anxiety, self-hate, and she's been able to guide me through it all gracefully and in an understanding way. Highly recommended. She was really responsive and good insights with good concrete strategies. I would absolutely recommend!! Jeannette has been very helpful as I navigate a divorce and deal with some old shameful thoughts. Highly recommend. Jeannette really knows how to listen and empathize. Jeanette has been very helpful in supporting me work through various challenges I'm facing. She has been very patient and encouraging and I would definitely recommend her! She is very calming, responds quickly with reasoned, thoughtful responses. Jeannette is really good at helping me frame my thoughts when I struggle to make sense of them. I really appreciated the suggestions she made when I felt that I couldn't turn to those in my personal life for support, as well as the thought exercises and questions she gave me to help me sort through a really difficult situation! She's really great! I feel as if she really cares and wants to know what is going on in life. She is always there and responds in a timely manner! Would you like to write a review for Jeannette Abelson? We'd appreciate if you can spend a couple of minutes to write a short review for Jeannette Abelson (LCSW). This review would be shared with Jeannette Abelson. It may also be posted in our website or in Jeannette Abelson's profile but it would be anonymous and your identity would be kept completely confidential.